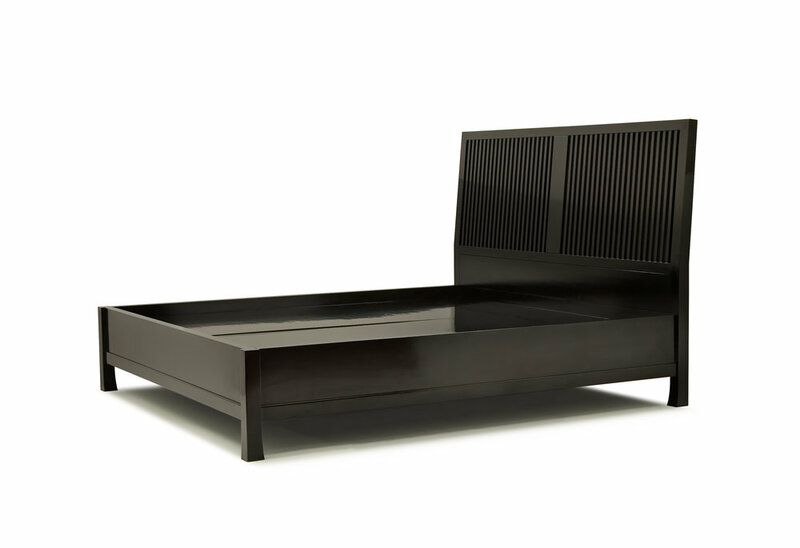 BD 20 - Modern bed made in solid wood, best of breed joinery architecture and fine finish. The bed is a beauty of master strokes. It conveys subtle Ming style mood, but the slatted headboard is designed to evoke memories of Japanese houses and screens.